Jodie Baker loves data. It’s evident in the way she talks about her work at Xakia, the company she founded last year after looking deeper into the legal landscape’s trends. The corporate legal team space is indeed under more pressure. As an integral part of their parent organisations, they must help navigate an increasingly changing business environment fraught with new challenges and risks. Add to this the increasing use of technology, budgetary pressure, and a generational appetite to do things differently, and one sees why in-house teams have an intensifying need to improve. That is why Baker and her team naturally turned to data. “After conducting a research project with in-house counsel, we found a gap in the market [for services that] provide corporate legal teams with the tools they need to manage the legal function,” she says. The response has been thrilling, according to Baker, as Xakia now counts a wide variety of large corporate and government organisations using Xakia Matters, the firm’s cloud-based legal matter management system that enables corporate legal teams to improve the visibility of their workload, demonstrate value by reporting more effectively to the business, and identify opportunities for efficiency improvement. Initially built for smaller teams, Xakia Matters scales well as a software-as-a-service product, and the company has been “amazed by the appetite” from the largest teams in Australia, Singapore, and China, Baker says. Xakia is launching in the US market, inspired by validating the uniqueness of their product in the legal technology landscape after attending the Corporate Legal Operations Institute’s yearly conference in Las Vegas. The rapid growth is exactly what Baker wants. 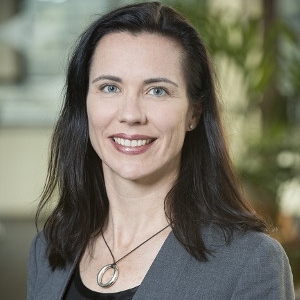 While she personally loves the freedom her job affords her to have ideas, act on them, and share them – and to work with people and clients she likes and learns from – she also loves the innovation ecosystem evolving in Australia’s legal industry. Xakia’s growth is a reflection of that evolution. 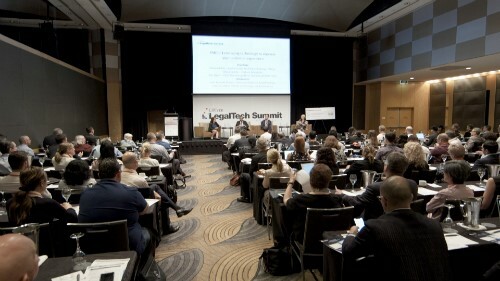 “I am keen to see the community of in-house legal innovation kick forward. There is a growing appetite for sharing ‘innovation’ information and I am often asked to put people in touch with other GCs who are thinking innovatively and doing interesting things. There are a number of groups working on creating this environment, which is great,” she says. The ultimate goal is to drastically change the way in-house legal teams work. At Xakia, the team thinks about legal work in the context of what they call the “Xakia Quadrant,” Baker says. And in that quadrant exists Baker’s utopia for legal work. What does the ‘millennial law firm’ look like?